BOS Buy Two Get One FREE! 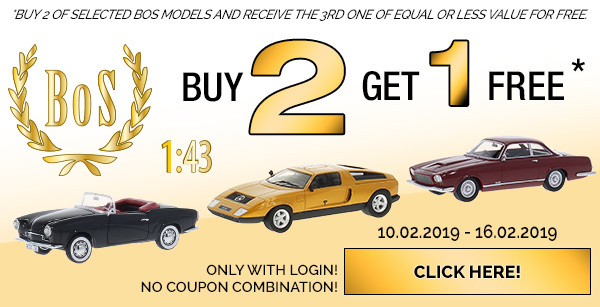 Model Car World and American Excellence are providing saving on an assortment of 1:43 scale BoS models. Buy Two Get One Free is the current offer. The sale runs from today and ends on February 16th.